Antiques & vintage hounds will want to check out the Bearcat Antiques Estate Sale this weekend. The estate is a vintage hoard, from 1910 to 1970! There are still piles of goodies, all at half off on Saturday the 4th, and an astounding 70% of on Sunday the 5th. DON'T BE THE LAST ONE IN LINE! 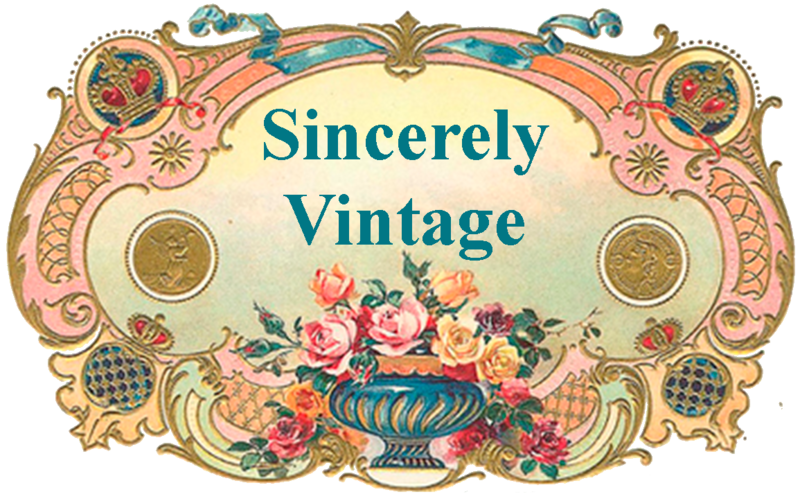 For those of you who read our Cathie Cox "Sincerely Vintage" column on line, here it is. 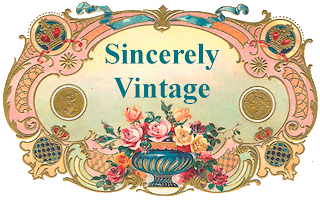 Watch for a new Sincerely Vintage column each month in the NEW CENTURY COLLECTOR . “I’m not a bad collector or a lazy collector; I’m an overwhelmed and confused collector. ”www.inherited-values.com”, posted on 6 January 2010. Once upon a time in my life I was organized. I think it was before kids. It was definitely, before the title “antiques dealer” was added to my resume. It’s just that acquiring vintage goodness is just so much for fun than putting it away. In addition, organizing it is a challenge of monumental proportions. But when my teenage daughter told me, the other day that one reason she hibernates in her room so much is because the antiques have overtaken the rest of the house, the proverbial ton of bricks hit me, it’s time to make a change. Starting right now. I’ve never been one to make New Year’s resolutions, since integrity is pretty high up there on my list of values. And it just doesn’t seem right to make promises that I know I’m going to break. But it’s high time to turn over a new leaf, especially if I ever want to see my daughter again. So, I think I’ll make some resolutions that I can keep, some that are vintage related. Note: There’ll be nothing about dieting in this list. . . . Resolution #1 – I won’t buy any additional vintage merchandise unless I have a place to put it. Even if there is an incredible estate sale and the people running it know squat about values and are practically giving things away. Or if a hoarder dies and I get exclusive rights to the property. Or even if my father-in-law decides to give me everything vintage that’s left in his bomb shelter (oh, wait – that would be okay because I wouldn’t be buying it). Qualifier to #1. I asked Santa to bring me a bigger house for Christmas because I needed more room to store my stuff. And I’ve been pretty good. But he didn’t bring me the bigger house. That could be a problem. Resolution #2 – I will put away my vintage acquisitions before going out to get more. That way people will think I’m a regular person and not a hoarder. And my family won’t harm themselves stepping over boxes and storage tubs while trying to get to the refrigerator. And I’ll be able to find the ______ that I bought three weeks ago that someone now wants to buy and somehow has forever disappeared. Resolution #3 – I will only purchase vintage items that add to the collections I already have, or that I know I can sell. Good thing I collect almost everything, got my bases covered on this one. Just have to watch out for Resolution #1. That will be the deal breaker. Resolution #5 – I will not hide vintage purchases from my better half. I’ve always been fortunate in that my husband has humored me by looking at my acquisitions when I come home from a junking adventure. But I do have to admit that once or twice I’ve snuck things into the house that I didn’t really want him to see – things that cost too much or that he might question their usefulness or ________ or _________. No more. Now – I might not point out every vintage purchase, but no more hiding. And hey, he’s a guy after all. It’ll be fun to see how long it takes him to notice. Resolution #6 – This year, I will get my collections on display and/or organized. Yup, it’s time to figure out what to do with my camera collection. And my vintage jewelry-making supplies. And my printed tablecloths from the 50s. And so on. I will do this. Oh yes I will. I think I can, I think I can. . . .